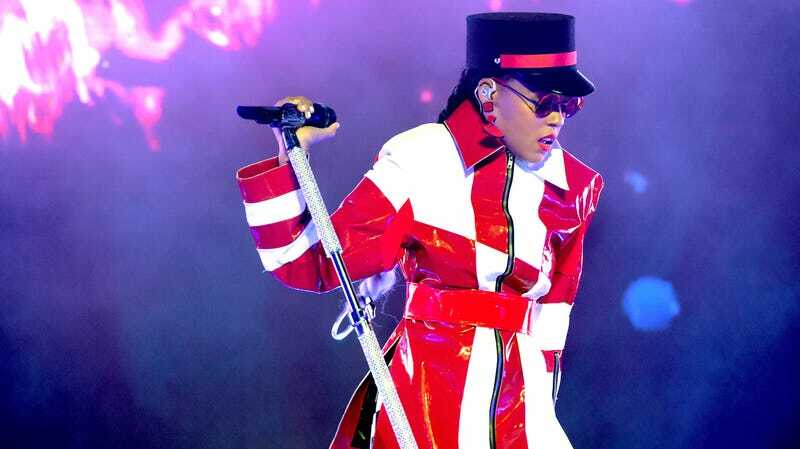 Future Janelle Monae—Queen of the Space Nation we are forced to create when the rising sea levels and Elon Musk’s ego destroy what’s left of this godforsaken planet—paid a visit to Current Janelle Monae’s social media feed on Sunday, gifting us unfortunate 21st century-dwellers with a message from her enviable timeline. Oh, I absolutely will NOT. Monae’s first message is directed toward perpetuators of patriarchy, i.e., basically everyone, though perhaps in the Future we’ve finally banished the Bad Men to the breeding pits, who knows! It’s not clear exactly what prompted this visit, but considering the majority of Monae’s tweets and retweets on Sunday have to do with the fuckery surrounding Serena Williams’s U.S. Open loss, I sense there’s some connection. I am comfortable receiving these messages every single day, please and thank you.